Family Dollar was a large chain of dollar stores that was started by Leon Levine in 1959. The company went public in 1970 and shortly thereafter grew to 100 stores. The chain had grown to 400 stores by 1981 after which the chain began experiencing hyper-growth. There were many years in which the chain opened more than a hundred stores a year. They had over 7000 stores in 2011. Activist investor Carl Icahn had acquired a 9.4% stake in the company. In 2014, Icahn demanded that the company be put up for sale. There was a bidding war between Dollar Tree and Dollar General. Family Dollar accepted the Dollar Tree bid. They completed the merger in 2015. 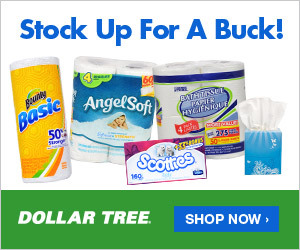 After the merger, Dollar Tree sold 330 stores to Sycamore Partners. These stores might merge with Dollar General. The Family Dollar still lists the locations of local stores and has coupons along with a mention of the merger.